In 1984, Edith Bradshaw was a senior at Apopka High School in Orange County. Her leadership and responsibility characteristics helped put her among the first 159 Central Florida students named in the inaugural class of Disney Dreamers and Doers, celebrating elementary, middle and high school students in Lake, Orange, Osceola, Polk and Seminole counties who take action to improve their school, community or home. Fast forward more than 30 years later. Today Edith Bradshaw Bentley is a music teacher and the band director at Trinity Christian School, also in Orange County. During her career, she has nominated numerous students who also have been named Disney Dreamers and Doers. 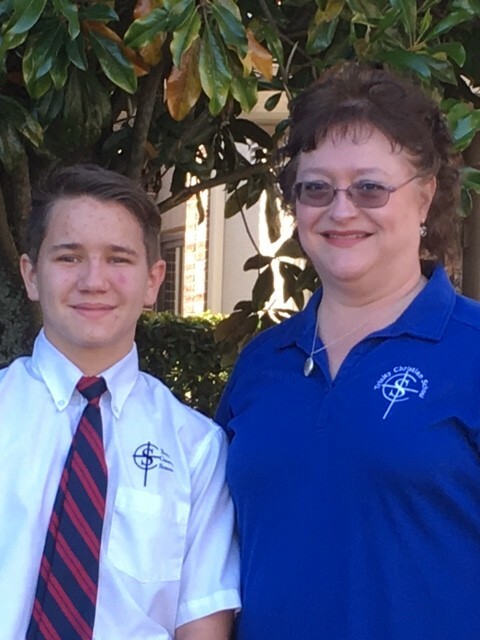 This year one of her eighth-grade students, Trey Hibbard, is the latest to follow in her footsteps, chosen as one of nearly 375 students in the 2017 class of Disney Dreamers and Doers. Trey and Bentley are part of an esteemed group of almost 14,000 Central Floridians honored as Disney Dreamers and Doers since this program began 34 years ago. Each Dreamer and Doer receives an award medallion, honorary certificate and complimentary Walt Disney World theme park tickets. On June 10, the Shining Stars and their immediate family members will attend a special event at Disney’s Animal Kingdom Theme Park. These award-winning students will receive a Mickey Mouse statue known as a “Mousecar,” along with a gold medallion and other special mementos. In addition to supporting educational efforts through the Disney Dreamers and Doers program, Disney also collaborates with other education programs in Central Florida. It is the largest contributor of back-to-school supplies to A Gift for Teaching, which benefits more than 100,000 students in schools in Lake, Orange, Osceola, Polk and Seminole counties.